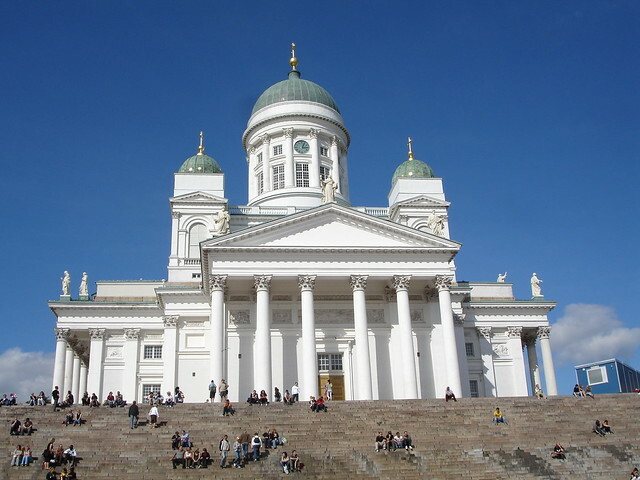 Located in Northern Europe, Finland is a friendly country with a chilly climate but a warm heart. In Finland, you can enjoy the midnight sun in summer and the aurora borealis in winter. All year long, you can enjoy strong cups of coffee and a pastry while chatting with friendly Finns in a Helsinki café or small-town restaurant. 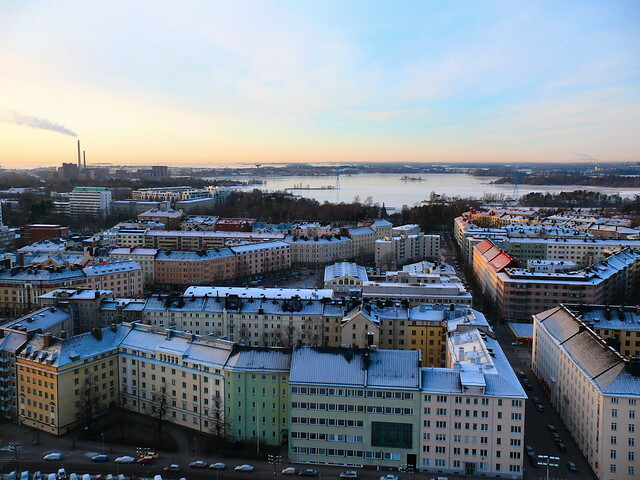 Finland has two official languages, Finnish and Swedish, but many people (especially young people) speak English, too, so communicating in this part of Scandinavia is easy for most travelers. The best thing to do in Finland? Relax and enjoy. 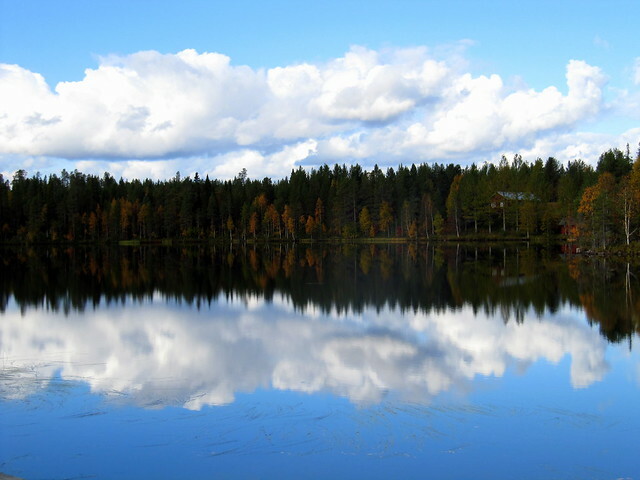 Much of Finland is still wilderness, which makes it an ideal destination for anyone seeking a relaxing vacation or adventure far from the city. In summer, you can boat or swim in your choice of the nearly 200,000 lakes inside this small country. Take long hikes through the pine forests and rejoice in the midnight sun as you have a daylight picnic for a late dinner on the porch of the cute cabin you rented. In the winter, Finland takes on a whole new charm. Spend some time skiing or take a short day hike to see how the snow glitters on the pine trees. At Christmas, Lapland is a wonderful place to get into the holiday spirit by journeying to see the reindeer that still roam wild there. And legend has it that the mountain Korvatunturi is actually Santa Claus’ home, so even the kids will like this adventure. Meat, potatoes, bread and fish are the heart and soul of Finnish cuisine. The northern climate means a short growing season and a long cold winter that inspires soups and hearty dishes. Karelian Stew, for example, is a beef or pork-based stew studded with root vegetables like onions. Dairy products are also important to the Finnish diet and Finland is known for production of several unique cheeses like aurora cheese and bread cheese. Aurora cheese is a creamy, blue cheese with a vibrant blue color throughout. Bread cheese is a curd that has been grilled or baked to give it a dappled look like a loaf of bread and a unique taste. The Finns are also known for their ability to bake a good pastry. In Finland, pastries are often taken with a cup of coffee for an afternoon snack or dessert. In summer, berry tarts are quite popular and make use of seasonal items like lingonberries. Cardamom coffee bread, a sweet pastry flavored with cardamom and served with coffee, is a traditional pastry that is still quite popular.